I’ve discovered the joy of Spoonflower, at last. I’m totally in love with that place. I don’t understand how to get stuff exactly right just yet, but I’m having fun trying. 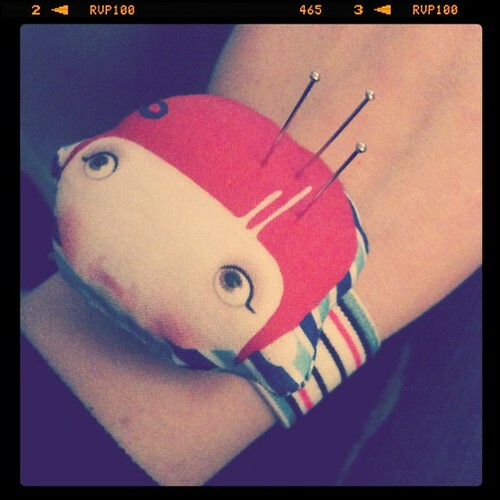 These are my new creations, Pin cushion girls for the wrist. I wanted to have a good place to put the needles while sewing on the machine, and these work pretty great. The ‘Joy Division-girl’ and The ‘Vampire girl’, on striped elastic bands. 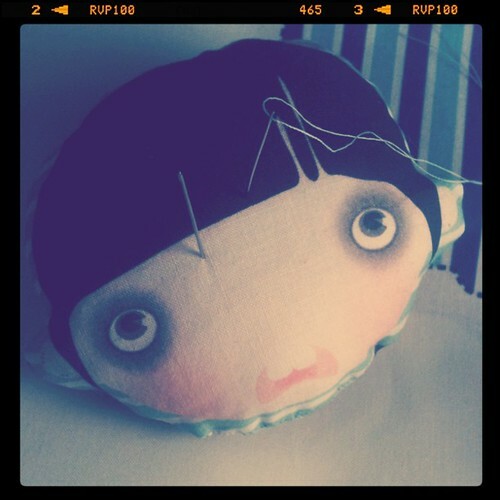 The ‘English girl’ on striped elastic band.